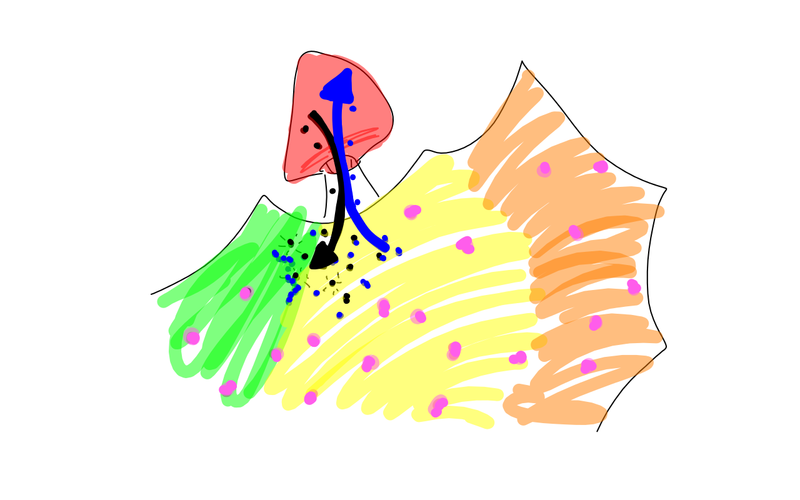 Today in science: The main themes for today’s lesson were “soil formation” and “decomposition.” After collecting the remaining physical, chemical, and biological weathering drawings from all students, Dr. M once again showed an image he first used in one of last week’s lessons. 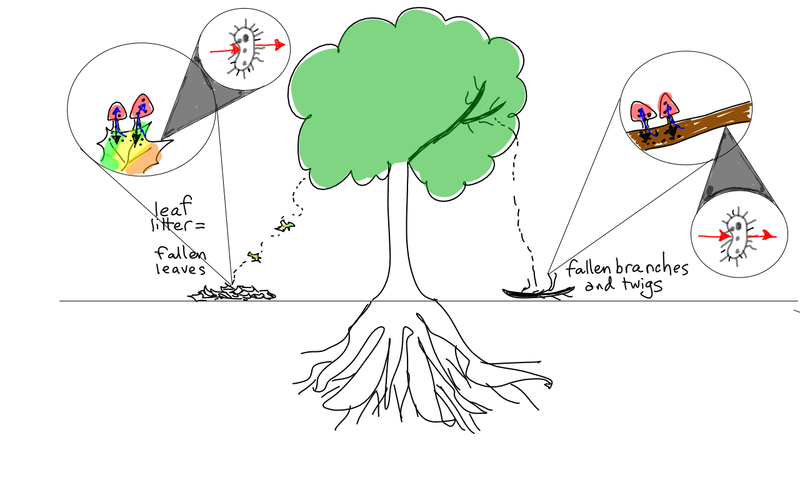 This image was used to remind students of their need of the final ‘pieces’ of the soil formation ‘puzzle.’ For the remaining time, everyone was asked to create a drawing that Dr. M is calling “Decomposition of organic materials.” The two drawings produced in class during parts of F, G, and H periods are shown below. Can you put this drawing back into your own words as a paragraph (or paragraphs)? Write a few sentences to explain what’s happening in this diagram. Homework: There is no science homework tonight. Today in science: The main themes for today’s lesson were “soil formation” and “decomposition.” On the back of Monday’s decomposition drawing, we transformed the two processes we drew on Monday into two different paragraphs. These paragraphs, called “Fungi” and “Bacteria,” can be accessed on the Notes Portal. We then added two new zoom-in bubbles to the lower portions of the drawing in which we showed 1) worms consuming dead leaves and making waste (feces), and 2) beetles consuming dead wood and making waste (feces). Today in science: The main themes for today’s lesson were “soil formation” and “decomposition.” After adding roly-poly (pill) bugs and termites to Monday’s drawing, we watched two amazing videos showing the entire decomposition process of leaf litter and vegetable waste–the very same decomposition process we’ve been drawing and discussing since Monday. These two videos are embedded below. We then watched a series of short videos showing the decomposition process of a) fruits (banana, apple, watermelon) b) a bowl of fruits and vegetables, and c) small animals (e.g., a squirrel, a rabbit, a fish, and a lizard). Homework: There is no science homework over the 3-day weekend.